This natural wooden wine bottle box is made of pine wood with a sliding lid. An acrylic sliding lid is available upon request. Double bottle boxes or triple bottle boxes are available as well. We can imprint or hot stamp your company logo on the box if you desire. 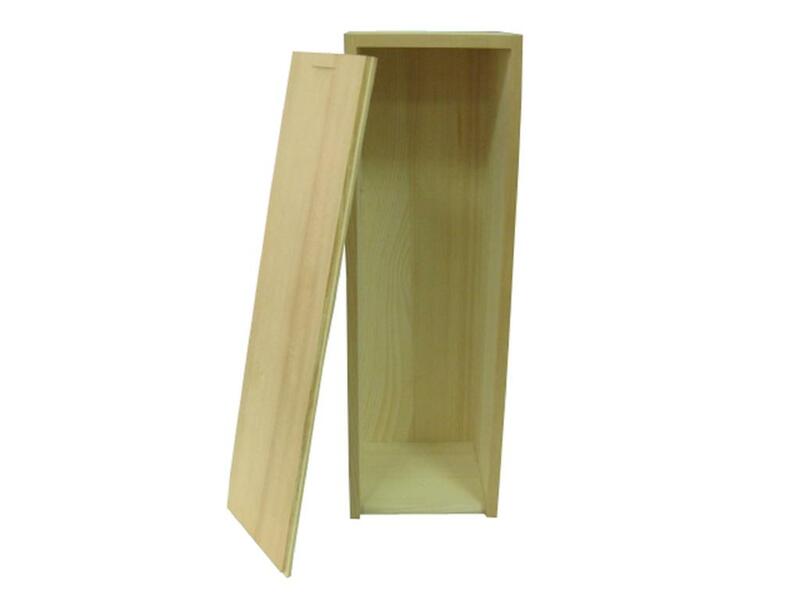 We take great pride in manufacturing the highest quality custom made finished and unfinished wooden wine bottle boxes for each and every customer. We have the skilled workforce and expertise required to meet any and all of your wooden box needs.